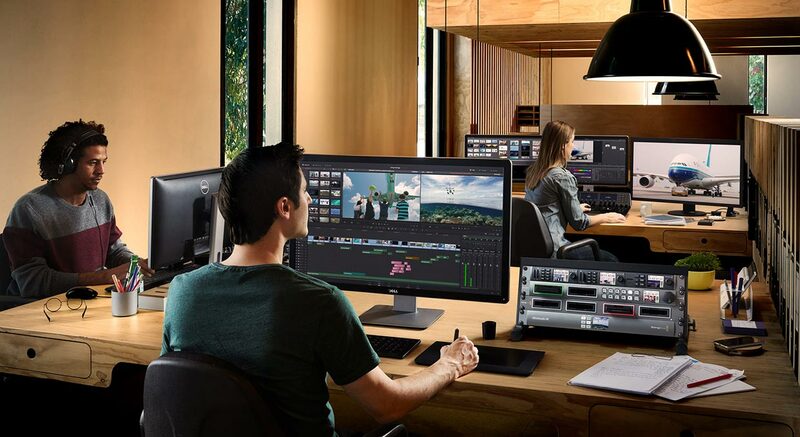 Davinci Resolve is a professional color grading application developed by Blackmagic Design. The application is used to correct and enhance the color of film and video, and is widely accepted as one of the most popular programs for professionals in the film industry. The latest update brings interesting new developments, including more advanced visual effects and motion graphics capabilities. What’s New in Davinci Resolve 15? Davinci Resolve 15 is one of the largest updates to come to the video editing platform and fully integrates new visual effects capabilities and new motion graphics features. Blackmagic Design added an all new LUT browser for colorists to quickly preview and apply LUTs within Resolve 15. These feature new shared nodes allowing for universal color changes along with multiple playheads for referencing different shots. Fairlight audio is now built into Davinci Resolve. Users get a complete digital audio workstation with professional mixer, automation, metering, monitoring, sample level editing, new ADR tools, a sound library database, native audio plug-ins, and other features. You can mix down and master to multiple formats, including 3D audio space formats such as 5.1, 7.1 and even 22.2. 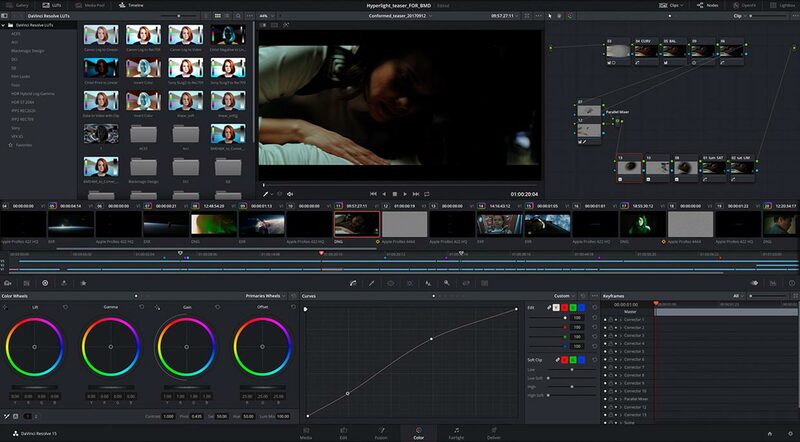 DaVinci Resolve 15 features an entirely new Fusion page for feature film quality visual effects and motion graphics animation. Fusion was previously only available as a stand alone application and is the world’s most advanced visual effects and motion graphics software. It is now built into DaVinci Resolve 15. The new Fusion page gives users a true 3D workspace with over 250 tools for compositing, vector paint, particles, keying, rotoscoping, text animation, tracking, stabilization and more. DaVinci Resolve 15 also features a large update to the Fairlight audio portion of the software. The Fairlight page now has a complete ADR toolset, static and variable audio retiming with pitch correction, audio normalization, 3D panners, audio and video scrollers, a fixed playhead with scrolling timeline, a preset library for equalizer, dynamics, plugins and global track properties, shared sound libraries, and built in cross platform plugins such as reverb, hum removal, vocal channel and de-esser. FairlightFX plugins run natively on Mac, Windows, and Linux programs with Davinci. DaVinci Resolve 15 has been specifically improved and designed to make cutting, trimming, organizing, and working with large projects more simple. 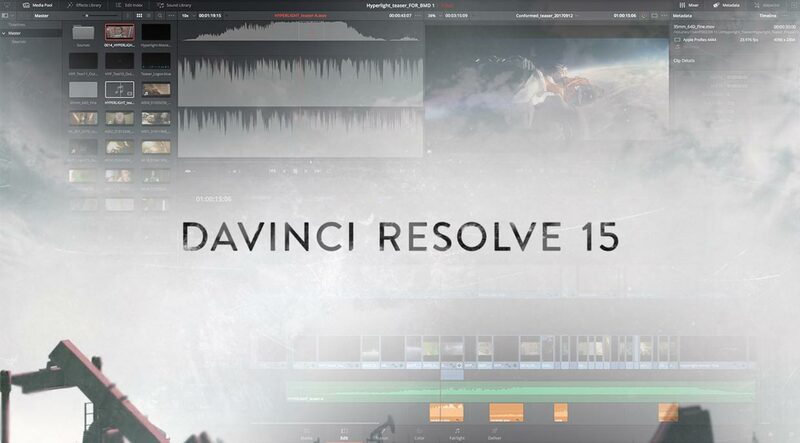 DaVinci Resolve 15 has dramatically improved load times so that large projects with hundreds of timelines and thousands of clips now open instantly. New stacked timelines and timeline tabs let editors see multiple timelines at once so they can quickly cut, paste, copy and compare scenes between timelines. There are also new markers with on-screen annotations, subtitle and closed captioning tools, auto save with versioning, greatly improved keyboard customization tools, new 2D and 3D Fusion title templates, image stabilization on the Edit page, a floating timecode window, improved organization and metadata tools, along with IMF, H.264 and H.265 mastering presets. More info can be found on the Blackmagic Design Media site. Join the FilterGrade Newsletter to keep up with the latest news, articles, and more!